retirement of James Teare Sr.
Davis, a Lothian resident, joined the police force in 1993 as a patrol officer in the Eastern District. 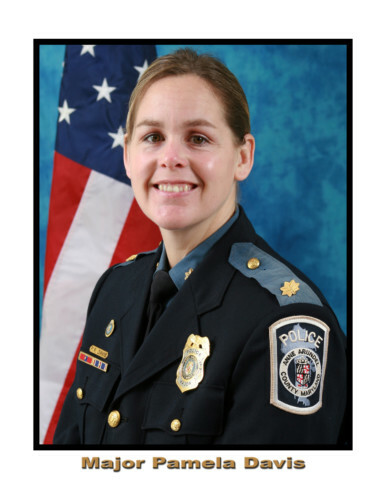 She has since been a K-9 officer and commander of the Training Academy, the Criminal Investigations Division and Southern and Eastern districts, and will be the County’s first female Chief of Police. Davis, 41, has a master’s degree from Johns Hopkins University and is a graduate of the FBI National Academy. The appointment is effective August 1, the date of Chief Teare’s retirement.